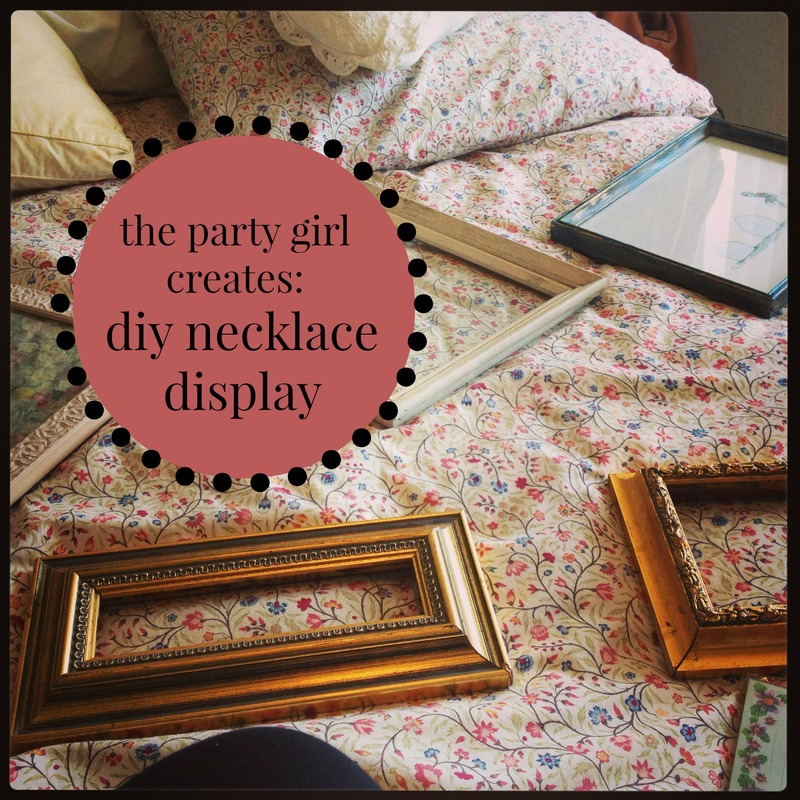 So once upon a time I promised I would share how I made the necklace display featured in the wall collage post, and months passed, and the Party Girls grew restless. But never fear, because I dug through the archives and culled out the photos I took while I was making this [extremely easy] diy project. See, it all started because I was tired of my necklaces getting tangled in my teacups (where I keep the rest of my jewellery). 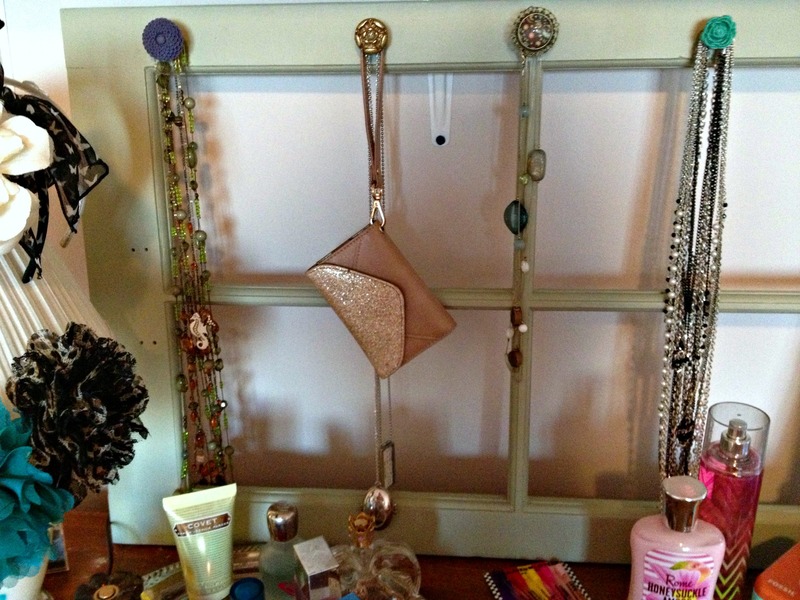 I was constantly untangling long chain necklaces, and as I started wearing more and more bulky necklaces, my shelf started to look aggressively like an antique store (the teacups didn’t help). Uninspired and looking for a way to hang them up, I started researching on Etsy and found this amazing local vendor who makes gorgeous drawer pulls. 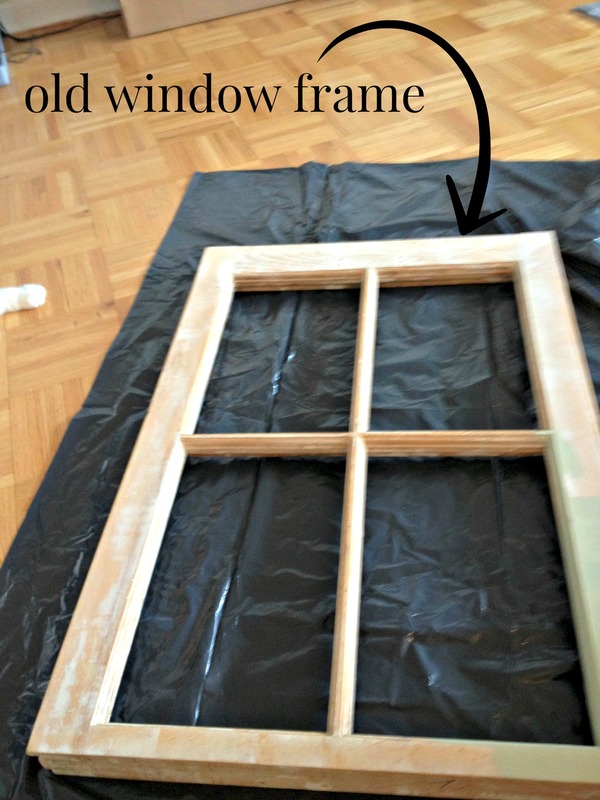 At the same time my aunt found an old window frame at a garage sale and bought it thinking she’d make a diy project for her garden, but then changed her mind and the window frame was discarded in the basement. This is what the window looked like when my aunt passed it to me for my project. I didn’t want to spend money on paint, so Justin and I tore apart our apartment (he was perhaps less motivated than I was) and found an old paint can from when we painted our first apartment back in Ottawa. And he says I’ll never use half the crap I insist on keeping. Ha. 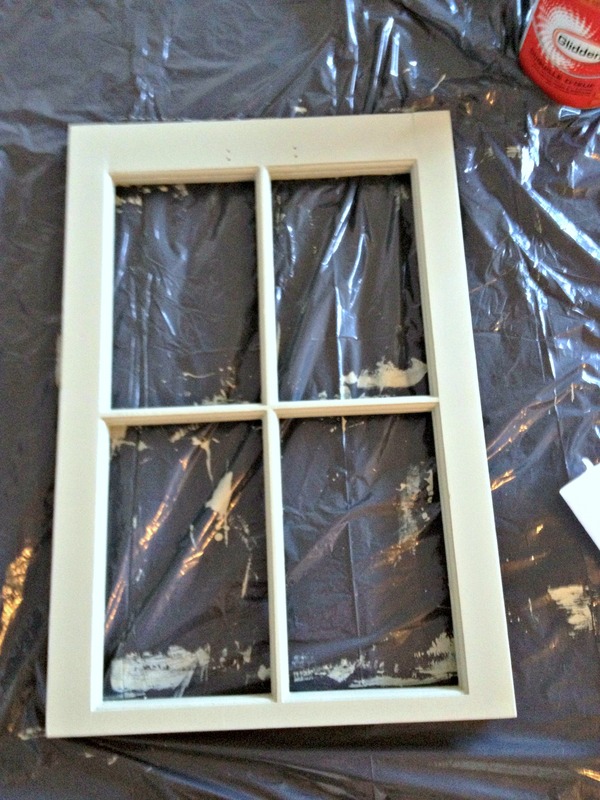 It’s maybe hard to tell, but the paint was a really pale greenish colour. Like grey green. I can’t remember the exact name, only that it caused me some stress back in Ottawa when I pushed for painting the apartment hall this bold forest green and Justin said no and we settled on this colour, which I hated in the can but LOVED on the walls. I would like to say I screwed the drawer pulls in myself but that would be a lie, because I tried and nearly drilled through our floor. Oops. I settled on 5 to start with, with plans to expand to the bottom of the frame later. I haven’t done that yet, but I did clear out a ton of jewellery so that’s basically the same thing. And this is how it looked when we put it up! By me I mean Justin, obvs. 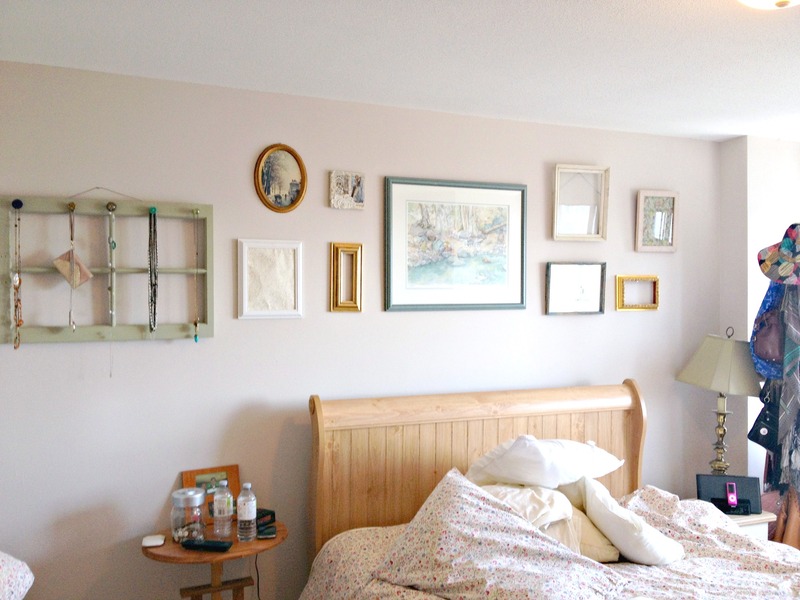 Also sorry the bedroom is such a mess in this photo, we were doing laundry and then I got inspired about putting up a photo wall and it was just all downhill from there. And Justin’s bedside table is the worst thing in our whole apartment but his brother made it in shop class (yes, in high school. As in ten years ago) and apparently it’s an “heirloom” now. What do you think? Pretty easy huh? If you aren’t lucky enough to have an aunt pick up supplies for your future projects by accident, scour garage sales and the Habitat for Humanity Re-Stores (unless this is an Ontario only thing, I’m not sure?) 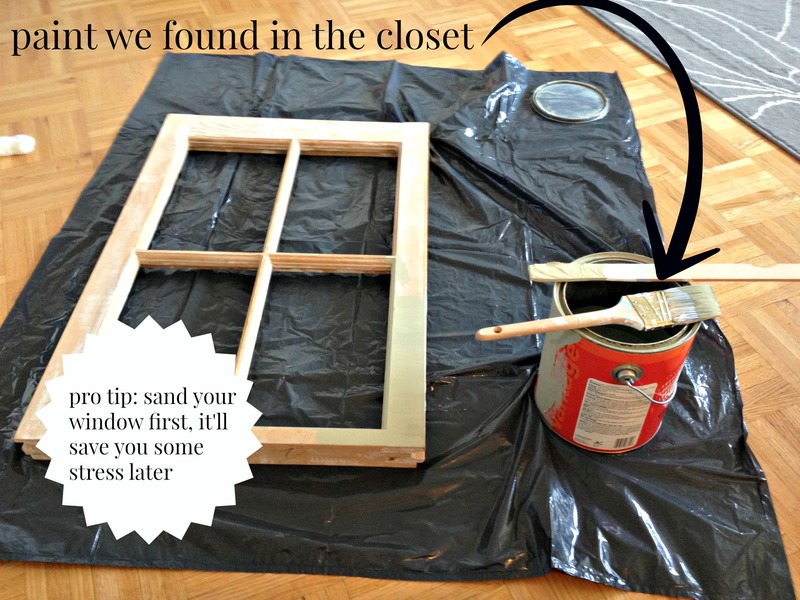 for old housing materials that work just as well!